What is the form of thought? What is the relation between thought and language or symbolic representation? Is there a logical system underlying human thought and/or language? Kurt Gödel, (1931), "Formally undecidable propositions"
Around 1275, designed method of combining attributes from a number of lists, and invented a machine for this purpose. The machine included multiple paper discs with letters of the alphabet that rotated to generate large numbers of combinations. 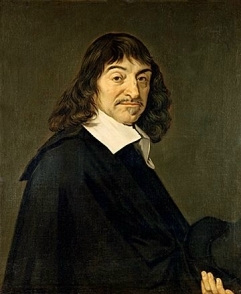 Coined term "Mathesis Universalis," a system of thought which would reveal the "order and disposition of the objects toward which our mental vision must be directed if we would find out any truth." 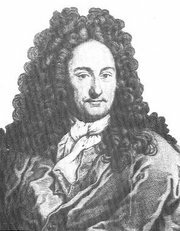 Gottfried Wilhelm Leibniz (1642-1727, Leipzig [Germany]), "Rational Calculus"
Leibniz's life-long dream: An "alphabet" of concepts. Every concept will be assigned a letter. Concepts can then be entered into a calculus that will reveal the true nature of human knowledge, a form of symbolic calculation. "Interconnectedness"--Leibniz's stumbling block: "There is no term so absolute or detached that it contains no relations and of which a perfect analysis does not lead to other things or even all other things." Voltaire's Candide (1759), in which one branch of the Enlightenment--its most skeptical side--characterizes Leibnizian philosophy via the figure of Dr. Pangloss, who is both profoundly conservative and profoundly silly, convinced that we live in "the best of all possible worlds"
Goal: Assimilation of natural language into purely symbolic universe through a rule-governed system that transforms natural language syntax into a logical algebra. A contradiction that symbolic systems can't perceive: "This sentence is false." What are the connections between the calculating machines and proposals made by historically distant figures? In what ways do they represent progress or change over time? In what ways are they the same or different? What role does Gödel's incompleteness theorem play in the development of computing? What sorts of logic do computers reliably follow? Can you think of ways in which computers do not behave logically? What connections might you draw between Leibniz's various interests? 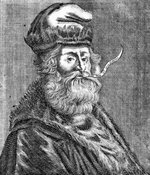 How have those connections come to fruition (or not) in the centuries since Leibniz wrote?